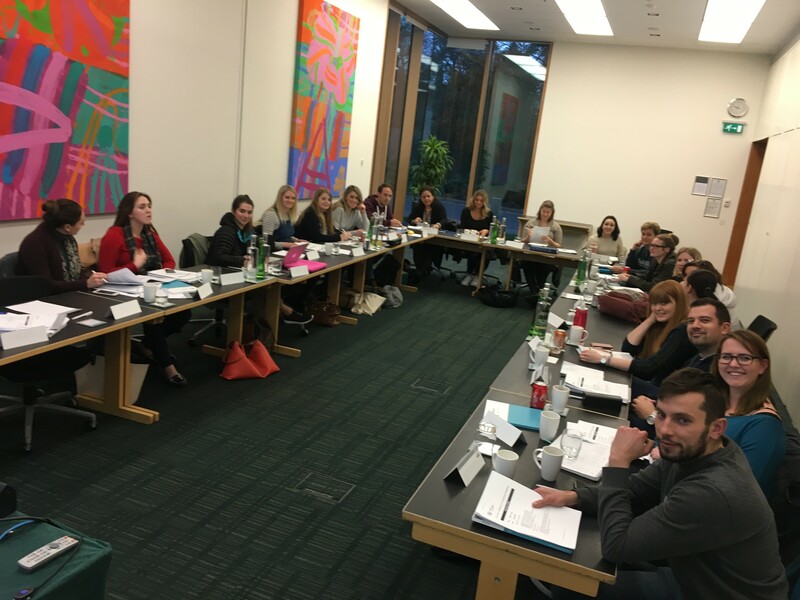 Guest blog: Felicity Anderson, Alumnus of the College, studied the CIM Diploma in Professional Marketing and, as well as talking about her experiences, gives some handy tips. Studying while working full-time has heaps of benefits especially in a job like marketing, which changes all the time. There’s a big bunch of stats about people who complete the course, but the headlines are that you’re more likely to get better jobs, be promoted and earn more money. For a lone wolf marketer like me who doesn’t have a big marketing team behind her, a wise old mentor (ugh, the dream!) guiding her, or even a degree in marketing, I’d say the course was pretty invaluable. I feel like a proper ‘marketing person,’ now, not just somebody who fell into it, plus I understand lots of the theory behind it. BUT, there are parts of it that are tough. Isn’t that always the way? Firstly, our attention spans are short, and secondly, when you do take the time out to enjoy online wonders, such as Netflix, you will feel guilty because you should be studying. Obviously, a great way to get around this would be drawing up a study timetable and sticking to it. I signed up for my CIM Diploma in Professional Marketing through Cambridge Marketing College and opted for Saturday seminars. There are lots of ways that you can study, including distance learning and weekly evening classes (depending on what study centre you go for) but Saturdays suited me.There are three modules over the course of the year and there were about three seminars for each module. Each Saturday I would drive to Murrayfield rugby stadium for a slap-up lunch and to meet with fellow students and my tutor, who would lead the class in a lecture and then we’d do exercises to help us complete the assignment. I loved hanging out with other marketing people, who were all lots of fun and very similar to me. The tutors were also great as they are all highly experienced marketers out in the real world and so they marry the theory with real-life business tales that were, on the whole, really interesting. I actually started to feel like a proper marketing person, which with over 8 years experience I am, but this helped get rid of the pesky imposter syndrome. I’d feel a bit sick the days that results came out by email but each time I passed, getting better marks each time. Cue lots of squealing and drinking of wine. By the time I did my last module I was clearly finally getting into the swing of things as I passed with a merit – what a buzz. I’m now a member of the Chartered Institute of Marketing (CIM) and regularly go to their workshops, which give me nice seminar vibes. We all talk about our experiences as marketers and learn skills in whatever we feel we’re lacking or could brush up on, such as Google Analytics and LinkedIn marketing. I did get a pay rise at work and I’ve got more confidence when suggesting strategies and introducing new ideas. After so long feeling a bit stuck career-wise it’s like I’ve actually moved forward at last. How do I assess whether I am GDPR compliant?